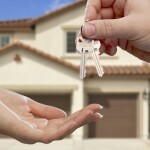 If you are a resident of Califonia looking to buy your first home, there is some good news. 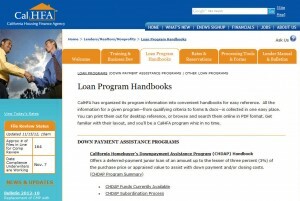 There are a variety of programs and incentives available to you through the California Housing Finance Agency (CalHFA). CalHFA has organized its program information into convenient handbooks for easy reference. All the information for a given program—from qualifying criteria to forms & docs—is collected in one easy place. You can print them out for desktop reference, or browse and search them online in PDF format. Get familiar with their layout, and you’ll be a CalHFA program whiz in no time. California Homebuyer’s Downpayment Assistance Program (CHDAP) Handbook Offers a deferred-payment junior loan of an amount up to the lesser of three percent (3%) of the purchase price or appraised value to assist with down payment and/or closing costs. Balance indicated above excludes funded and current pipeline of CHDAP loans. This is an approximate balance and will be updated the second week of each month. Due to limitation of funding, reservations for CHDAP loans are on a first-come, first-served basis. CalHFA may receive additional funding in the future for this program, provided the State is in the position to sell the remainder of the bonds approved by the passage of Proposition 1C. A federal credit which can reduce potential federal income tax liability, creating additional net spendable income which borrowers may use toward their monthly mortgage payment. This MCC Tax Credit program may enable California first-time home buyers to convert a portion of their annual mortgage interest into a direct dollar for dollar tax credit on their U.S. individual income tax returns. The Section 8 Housing Choice Voucher Program may enable qualified first-time home buyers in CA to receive monthly assistance for homeownership expenses in lieu of monthly rent aid. 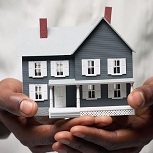 Pursuant to Congressional authority, HUD has authorized states and Public Housing Authorities (PHA’s) to provide this assistance using funds available through the Section 8 rental voucher program. 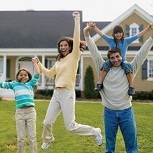 Besides the state programs, there are federal funds and grants available to first time home buyers in California through the Homes and Communities program of the United States Department of Housing and Urban Development. On their website you’ll find complete grant information, application forms, description of available funds, as well as many other helpful tools. In addition to the various home buyer programs described above, the U.S. Department of Housing and Urban Development provides home buyer assistance and grants in every county throughout California. There are multiple programs designed specifically for people that meet certain requirements, such as grants for people with disabilities so they can continue to live independently at home. 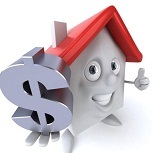 It would also be worthwhile to investigate the specific grant programs for California 1st time buyers. This entry was posted in Down Payment Assistance, First Time Home Buyer Info, First Time Home Buyer Programs and tagged California, California down payment assistance. Bookmark the permalink.